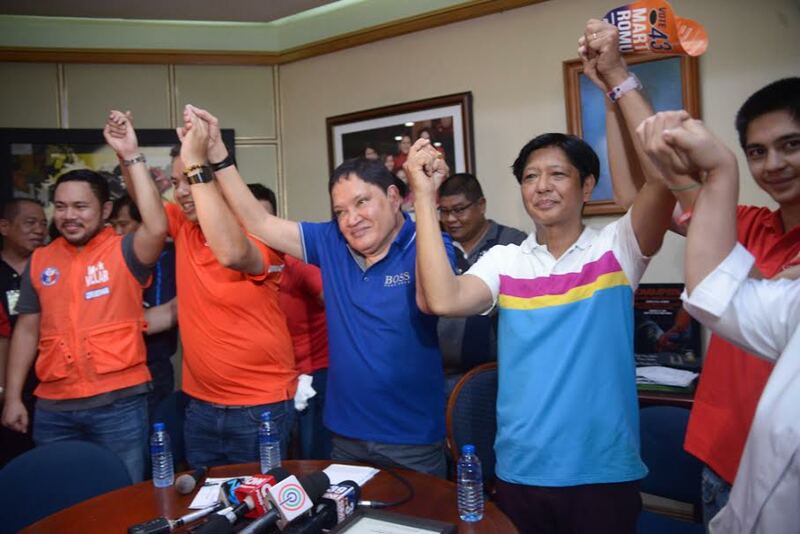 Nacionalista Party president Manny Villar’s son and brother-in-law have endorsed Sen. Bongbong Marcos for vice president over Senators Alan Peter Cayetano and Antonio Trillanes IV. Officials of Las Piñas City, led by Rep. Mark Villar and Mayor Vergel “Nene” Aguilar publicly pledged their support for Marcos who visited the city hall on 6 April 2016. ‎The Villars have previously stated that the NP would not choose any of its three party members running for VP. However, Politiko sources said that Villar had a change of heart and decided to raly behind Marcos because he represented the biggest chance of electing NP’s first VP since the late Salvador “Doy” Laurel in 1986. Marcos is currently tied for first in the VP race with Escudero. Aguilar, the brother of Sen. Cynthia Villar, said he picked Marcos because of his grasp of the concerns of local government units and officials because of his long experience in the executive as governor of Ilocos Norte. Mark said that Marcos was among the few friends who remained at their side at the most difficult moment when his father, former Senate President Manuel Villar and Nacionalista Party chief, ran for president. “That is the one thing we could never forget. 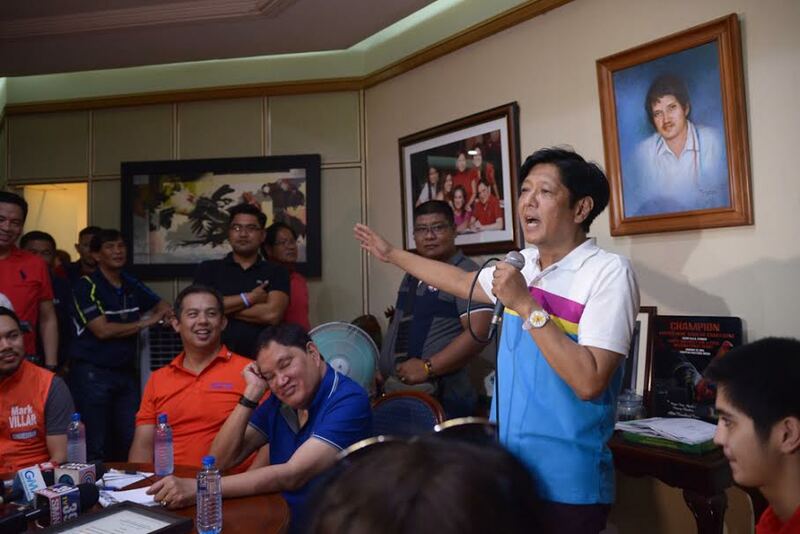 Senator Bongbong, thank you very much and of course you can always count on our support not just as a party mate but also as an extended family. Senator we welcome you here in Las Pinas,” said Mark. “Like I said, you’re not just a friend but a member of family. We will always be here for youras you have been here for us,” said Mark to Marcos. Who will lead Nacionalista Party in 2016?